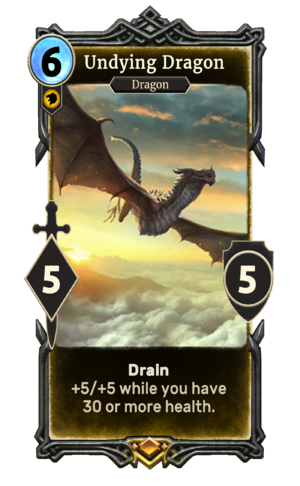 Undying Dragon is a legendary Willpower creature card. It is part of the Heroes of Skyrim expansion. This card's ability applies the Ancient Power card effect. The effect is already active when played, but without the buff. When the buff triggers, the effect is applied a second time.